Something a little random now. 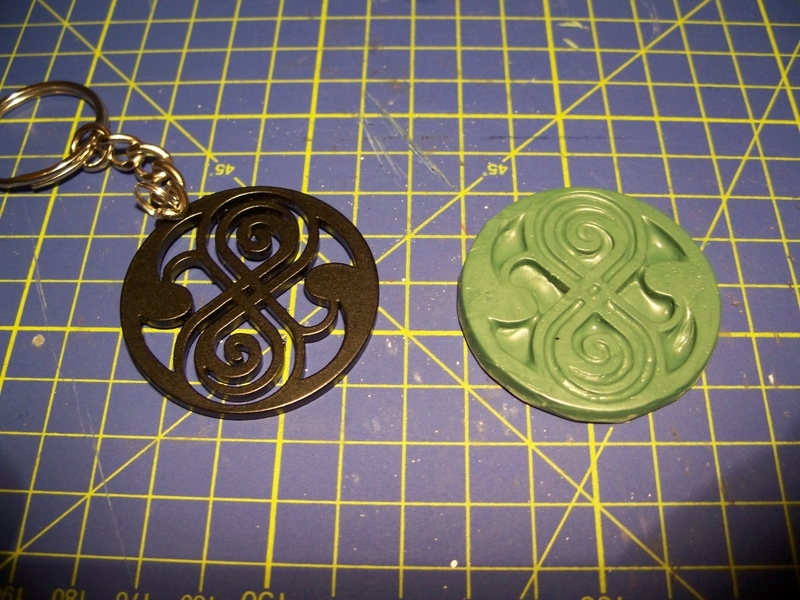 I picked up a nice little Gallifreyan style keyring from a show a couple of weeks ago. 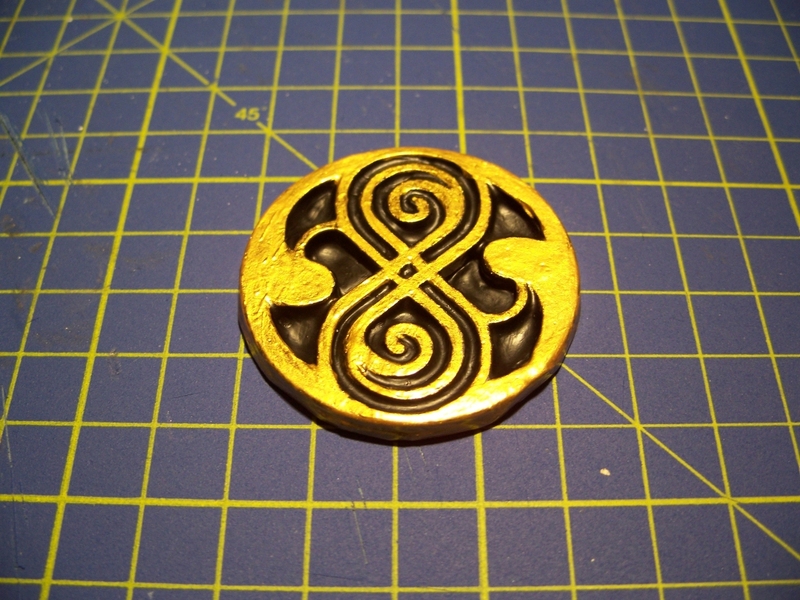 So with the help of a little bit of Instamold and Greenstuff I came up with this little beauty. 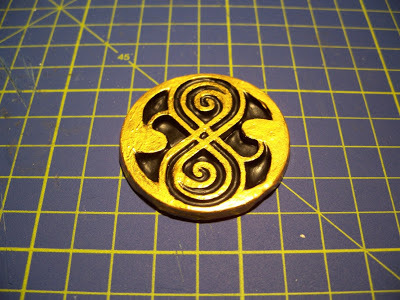 And then with the addition of some black and gold paint I ended up with this result. All I need to decide now is how to use it. 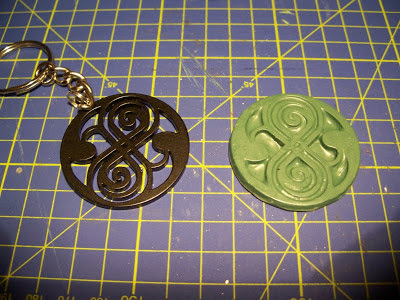 Do I try for a new set of bases for my Dr Who miniatures (its approximately the same size as a 40mm base) or maybe even try for a 8th Doctor Tardis Console room interior.